VANCOUVER, B.C., June 12, 2018 (GLOBE NEWSWIRE) -- Aben Resources Ltd. (ABN.V) (ABNAF) (E2L2.F) ("Aben" or the "Company") is pleased to announce that the Company has been granted approval by The Depository Trust Company, which is a subsidiary of the Depository Trust & Clearing Corp., and manages the electronic clearing and settlement of publicly traded companies in the United States. Being DTC eligible is expected to greatly simplify the process of trading of the company`s common shares on the OTCQB marketplace where Aben trades under the symbol "ABNAF". The DTC electronic method of clearing securities speeds up the receipt of stock and cash, and thus accelerates the settlement process for investors. In addition to the OTCQB listing, shares of Aben continue to trade on the main TSX Venture Exchange under the symbol "ABN" as well as the Frankfurt Stock Exchange under the symbol "E2L2". Aben recently announced plans for its upcoming summer drill program at the Forrest Kerr gold property located in northwestern British Columbia`s Golden Triangle region (see news release dated May 23rd, 2018). A 5,000-metre diamond drill program is to begin shortly. 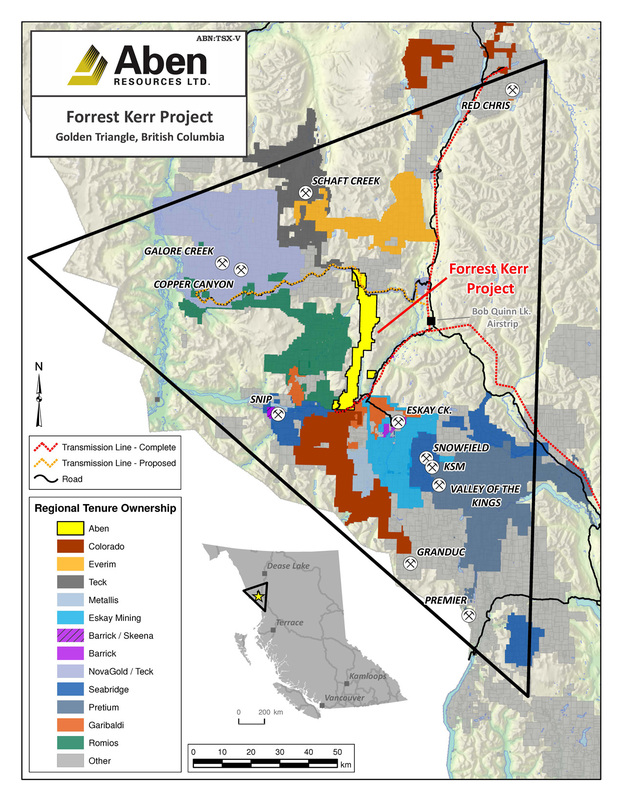 The initial focus of the drill program will be to expand the high-grade precious metal mineralization discovered in 2017 at the Boundary North Zone, located near the center of the Forrest Kerr property. James G. Pettit, Aben Resources President & CEO stated: "With heightened investor interest in the Golden Triangle during the summer drilling season, we believe that being DTC eligible will significantly enhance liquidity for our shareholders and improve our access to institutional and retail investors within the US." For further information on Aben Resources Ltd. (TSX-V: ABN), visit our Company`s web site at www.abenresources.com. Aben Resources has approx. 79.3 million shares issued and outstanding.